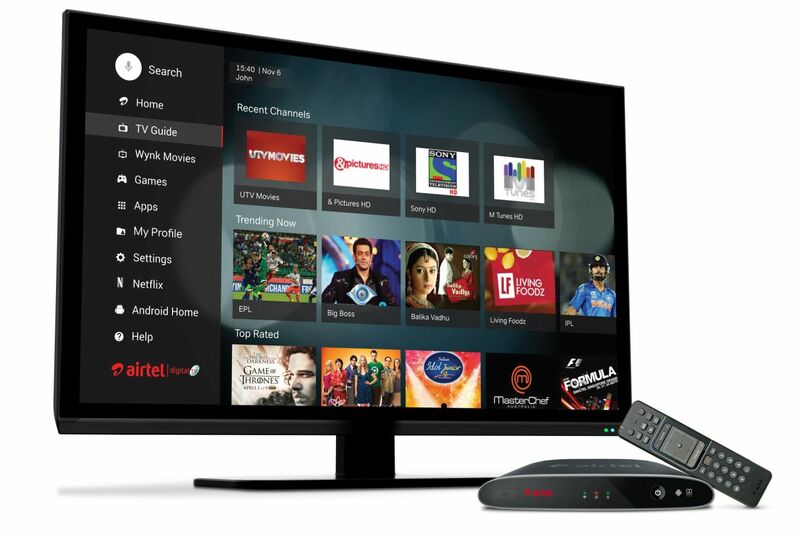 Airtel India has launched the new Internet TV in India. Internet TV is the hybrid STB powered by Android TV which brings both satellite TV channels and Online content in a single box. Airtel Internet TV transfer any TV into Smart TV. 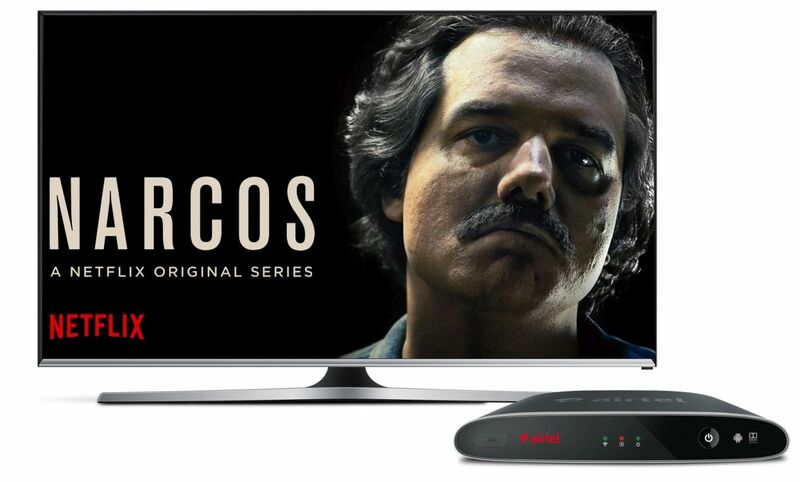 The user can switch between the Traditional TV channels and Online content with a single remote. The Airtel Internet TV is preloaded with Netflix, YouTube, Google Play Music, Google Play Games, Airtel Movies, Wynk Music and much more. With Google Play Store, the user can access the wide range of apps that are compatible with Android TV. The STB (Set-top Box) comes with Wi-Fi receiver, Bluetooth-based remote and google voice search feature which can be triggered from the remote. The STB is 4K ready and Live TV can be paused or recorded. The user can also play content from USB and Bluetooth. Airtel Internet TV STB requires a broadband or a 4G hotspot connection with minimum speed of 4 Mbps to play the online content. A regular antenna is also provided to watch Satellite TV. The device also comes with inbuilt Chromecast support, from this customer can cast the content directly from their mobile devices. Airtel ‘Internet TV’ is priced at Rs. 4999/- with 3 months Digital TV subscription. Also, as limited period offer customers can pay Rs. 7999/- and get the Airtel Internet TV with one-year subscription. Airtel ‘Internet TV’ will be available exclusively on Amazon India starting April 12, 2017.